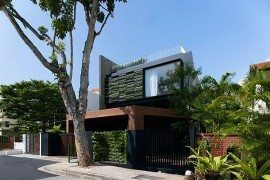 Having lived most of life in the concrete jungle, every time we see an oasis of green take shape amidst all the urban rush, we tend to get pretty excited. 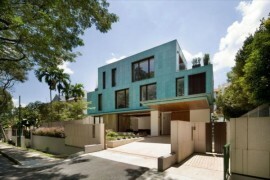 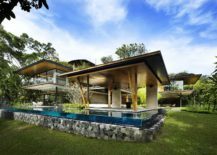 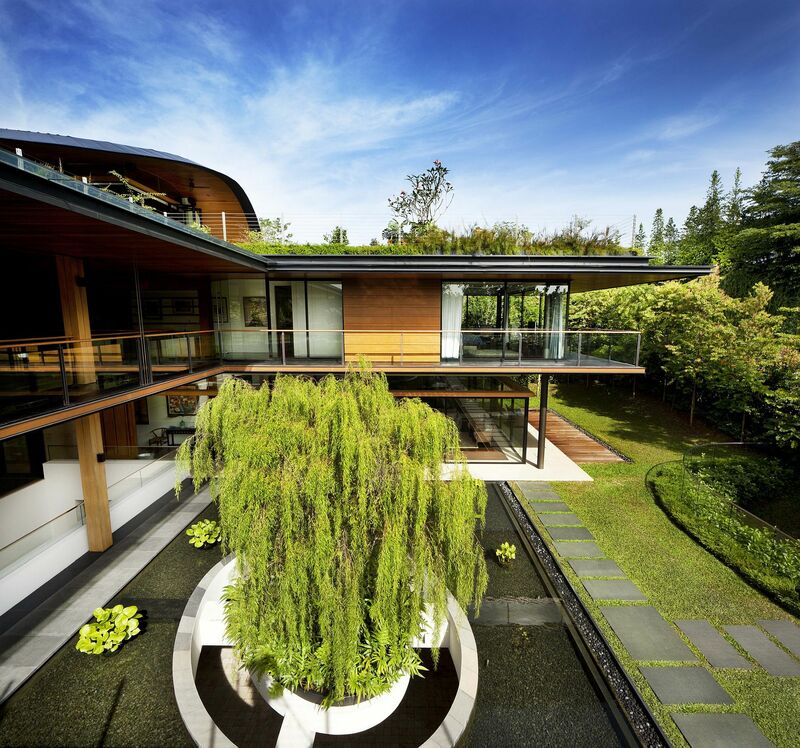 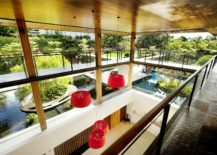 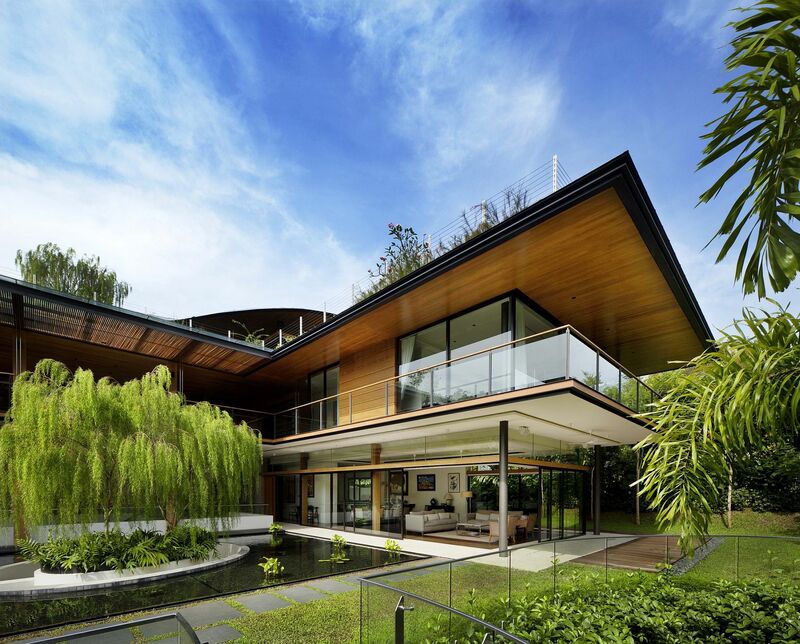 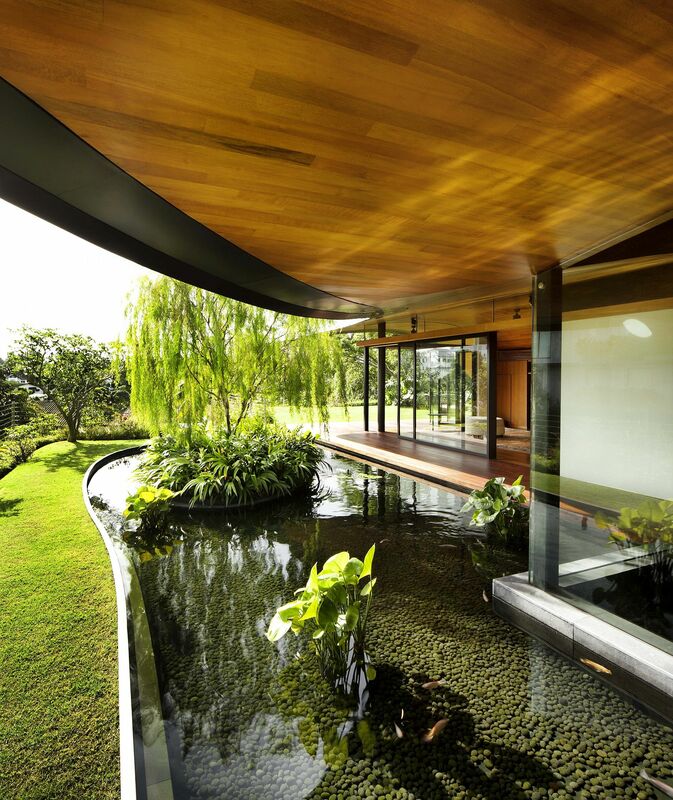 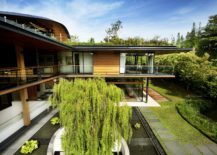 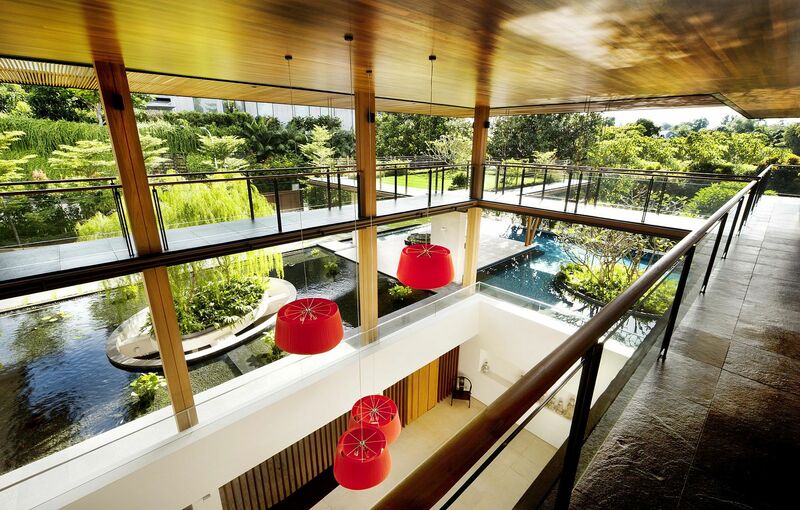 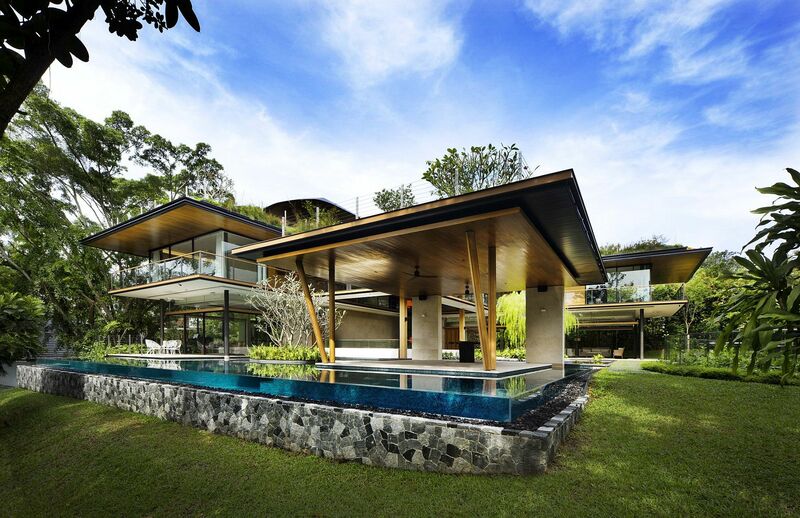 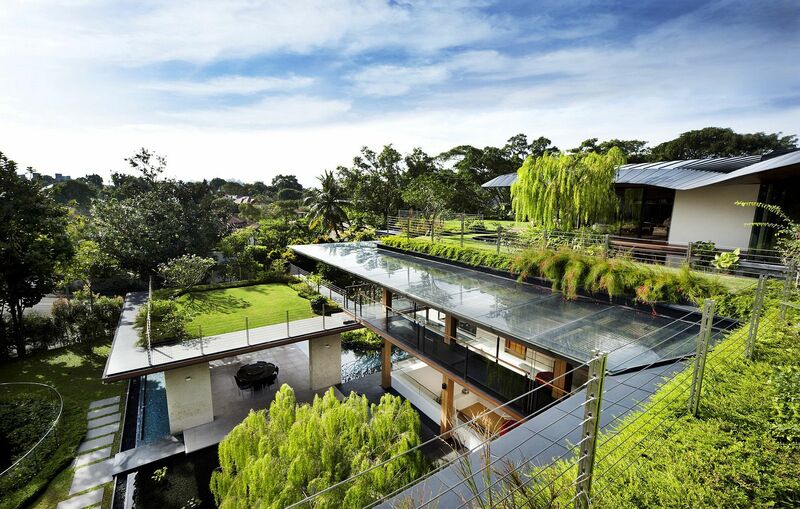 Designed to meet the needs of a large modern family with siblings who have their own families, the Ficus House is Singapore is an absolute delight that sweeps us off our feet with sheer volume and green goodness. 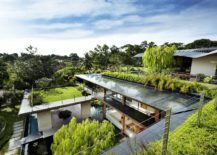 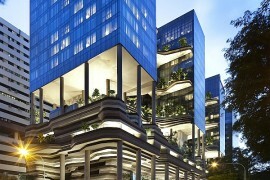 Guz Architects created an L-shaped building for the lot that is filled with natural goodness along with a series of bio-ponds, natural pools and roof gardens; a setting which combines smart privacy with connected public spaces and interactive zones. 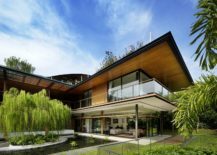 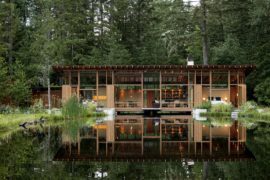 The home was built on a ‘heritage lot’ that had plenty of sentimental value for the homeowners and so the architects left much of the existing canopy untouched. 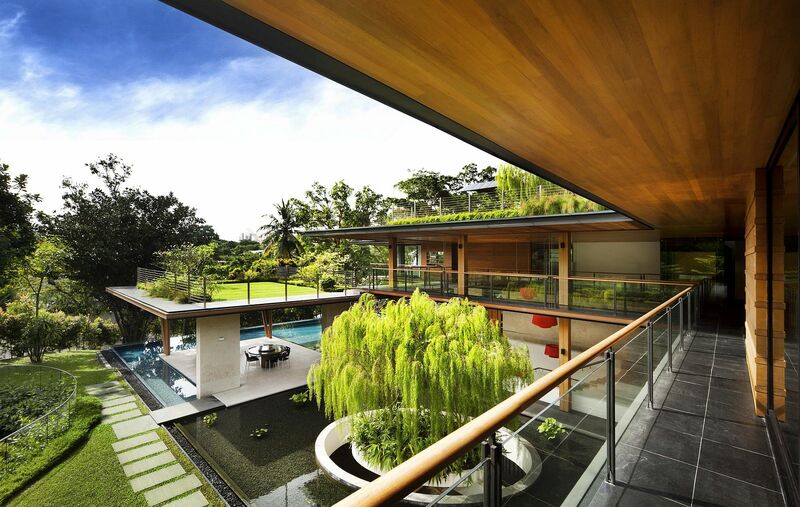 At the heart of it all is a giant Ficus tree that is especially dear for the family. 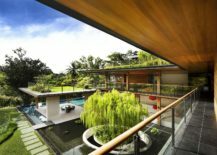 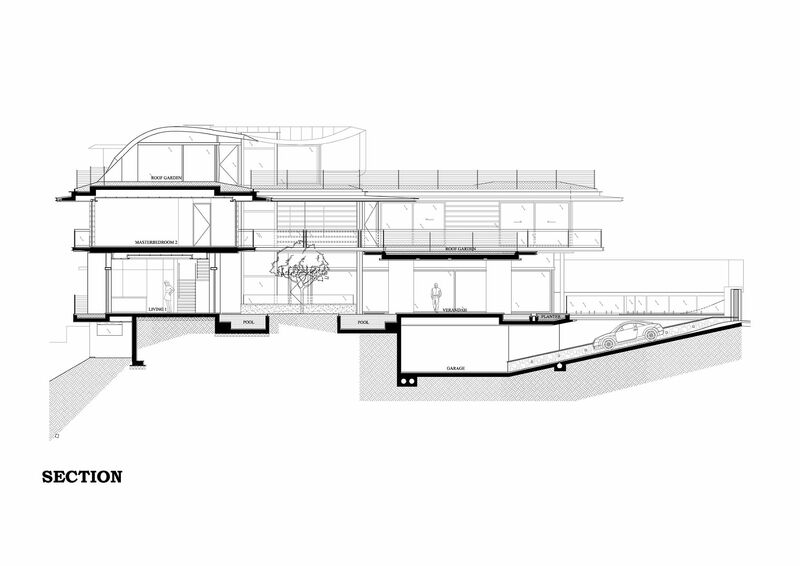 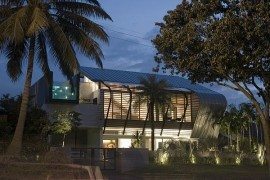 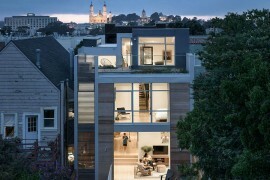 Beyond the greenery, one sees a home that is contemporary in every aspect with the outdoor terraces and roof gardens on different levels blurring the line between the interior and the world outside. 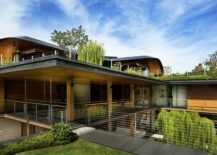 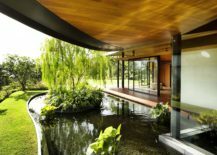 Natural beauty outside does much more than improve the aesthetics of the home as, as it reduces the ambient temperature and keeps out the hot tropical sun.